It's time to rock and roll - air guitar style. AIR GUITAR NATION is the feature documentary about the year that air guitar swept America - from New York to Los Angeles and then all the way to northern Finland. 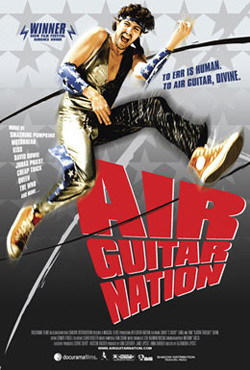 AIR GUITAR NATION chronicles the birth of the US Air Guitar Championships and the personal journeys of those talented contestants who are vying to become the first World Air Guitar Champion from the United States. Every August, the Air Guitar World Championships bring thousands of fans all the way to Oulu, Finland to see the world's best air guitarists battle it out for 60 seconds of mock stardom.